New teachers, and even veteran ones, often have questions about classroom management. Even teachers who have taught for years sometimes struggle with all the different personalities and learning abilities of students who enter the classroom on any given year. With a few suggestions, classroom management can be less stressful for all teachers. The three “R’s” are a great place to start. Develop a plan that invites students to learning in the classroom. Make a written plan of classroom expectations. What are the expectations for students when they enter the classroom? At a minimum, it should be respectfulness, responsibility for self and classroom items, and readiness to learn. Students should be prepared (come to class with necessary materials), be respectful of others (including verbal and physical respect/kindness) and be responsible (for self and for classroom materials). MODEL, MODEL, MODEL – respectfulness and kindness are learned. When teachers model respect and kindness toward each and every student who enters the classroom, students will eventually follow the lead. There is nothing more powerful in working toward relationships with students than respect – be a model for respect every minute of the day. Respect doesn’t mean a lack of discipline or consequences for poor choices, but it requires teachers to always address poor behavior choices while maintaining respect for the child. Keep students active and involved in the classroom. There will always be a need for talking and guidance from the teacher but avoid talking too much. Get the students involved and working quickly in order to learn and be engaged in the process. Teachers should keep their sense of humor close – it is necessary to have the ability to laugh at oneself and along with students. When students demonstrate poor classroom choices, have a plan in mind. Guiding kids to self-regulation and intrinsic satisfaction is key, but it is a process that develops as teachers and students learn more about each other throughout the year. Shadowing students who are making poor choices or struggling can often give clues to the triggers for behavior. Try to re-direct behavior privately and apart from the other students. Embarrassing kids who need to make better choices in front of their peers almost always backfires. Each child needs to know they matter to their teachers and their classrooms. Enlist the help of parents early. Make sure parents know expectations for classroom behavior and a convenient method of contact (whether that is school email, text, or phone calls). Parents will become a teacher’s allies when they know what’s happening in the classroom and with their children. Always be respectful when dealing with parents. Parents may not return the respect (especially when dealing with disciplinary actions), but professional respect from the teacher is always indicated. When classroom expectations are established, offering students constant feedback for positive choices in the classroom will help others who are still struggling. Make sure the feedback is about the behavior – for example: “Susan has her writing journal ready to go!” When teachers take notice of kids who are demonstrating respect, responsibility, and readiness, it will nudge other students along. Kids also like to be rewarded for actions and work in the classroom. While some educational experts will argue against rewards in the classroom (they are concerned with long-term intrinsic value), kids almost always do better with classroom reward systems for positive behavior – both individual and as a group. In laying the foundation for self-regulation, young kids often need the motivation of an external reward. External rewards are FUN, give the students something special to look forward to, and often offer a visual of progress toward individual and classroom goals. Wikki Stix can help with FUN (and creative) reward systems for the classroom and with individual students. Make a class jar and reward positive behavior choices when the class has reached a predetermined number. 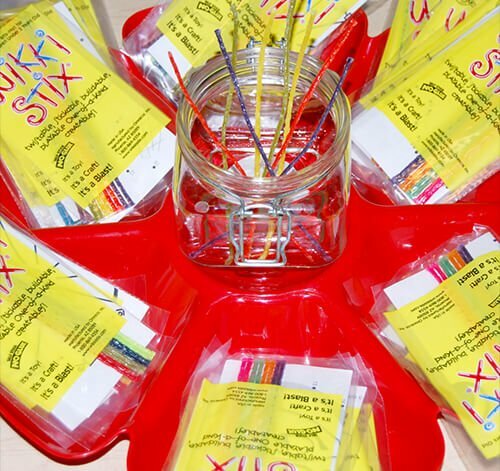 Kids can place one Wikki Stix inside the class jar for extra kindnesses or helpfulness in the classroom. Play “gotcha” and invite other students to help watch for kindnesses from student-to-student. When the class reaches the goal number, hand out individual packs of Wikki Stix to each student. Wikki Stix can remain at school as a great fine motor/creative outlet when kids finish work or have downtime in the classroom. For individual incentives, hand out a craft stick to each of your students. 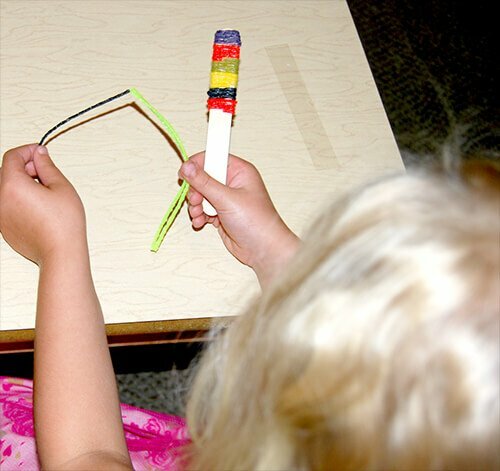 When students display respect, responsibility, and readiness, hand out a Wikki Stix to wrap around the top of the craft stick. When a student has the entire stick wrapped, decide on a special treat such as lunch with the teacher one day. 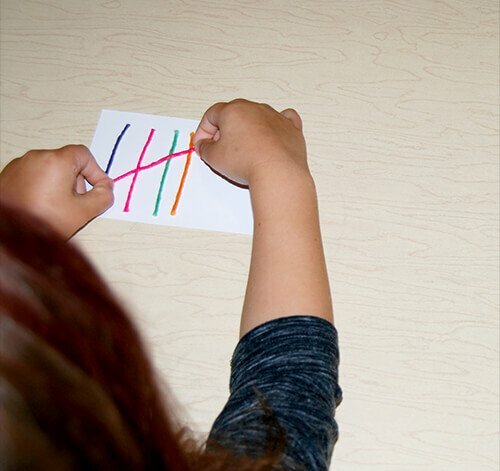 Students can also create tally marks with cut pieces of Wikki Stix. Make a class (or individual) chart. Have the kids decide on a goal. When the class (or individuals) have met the goal in tally marks, kids can have a special class movie day, outside learning time, or another incentive chosen by the class. As all teachers begin to think about a new school year, classroom management can be a little less stressful with a few helpful tips and suggestions. Whether you are a new teacher or a veteran one, Wikki Stix wishes ALL a great start to the school year.